Did you know one of the leading causes of death due to injury in the United states is poisoning followed by Motor Vehicle Accidents and Gun shots? 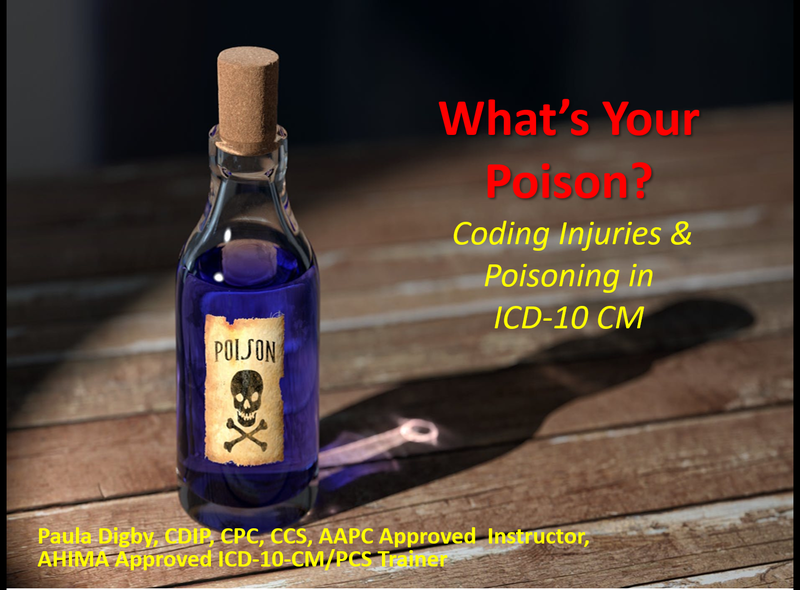 Did you know also there are Codes for poisonings make up one of the largest sections in ICD-10 CM. This large code set can be a bit confusing from understanding how to accurately report 7th characters, to the sequencing of codes, and accurate reporting of adverse effects and all of the numerous challenges in between coding for injuries and poisoning can be quite the conundrum. In this session we will share most commonly asked questions and quick clues to guide you through the process of coding injuries and poisonings. Describe key documentation best practices to help improve the health and security of the medical record.